When Alex graduated from high school, he had two goals. He wanted to get a good paying job as quickly as possible so he could be on his own and he wanted to work in a green industry. This is the story of how Alex reached his goals. 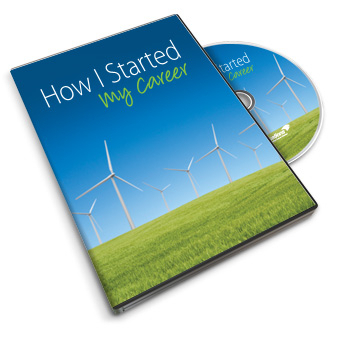 In this two-part, interactive video program, your students will accompany Alex as he searches for his first full-time job and faces the challenges of the first six months at Zephyr Industries, a wind technology company. Throughout the program, you'll have the opportunity to pause the video and discuss with your students critical decisions Alex has to make before they see what actually happens. As they share in his successes and failures, they’ll learn valuable real-life lessons that will teach them job search skills and help them reach their own career goals.